I don’t think a program counts at all. How could you know the text of the play would be inside? 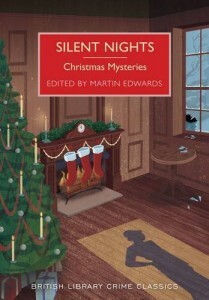 I’ve been inspired to join you in the non-book buying plan although I do have a few pre-orders arriving between now & Christmas (including Silent Nights which arrived yesterday). I’ve lasted two weeks so far & I know from experience it does get easier the longer I abstain. I just put lots of books into my online wishlists & pick up something I already own to read. Actually the person who sold it to me did mention it – but it didn’t occur to me to classify it as a book. So my intentions were pure! Nice to know that you have joined me: we can keep up each other’s spirits! Yes, I am putting books on my wish-list. And getting books out of the library is OK, too – though mostly I am hoping to make a dent in my TBR pile. Brilliant! and not cheating at all….